(handicap 15 and over) playing Hollywood Lakes next Saturday 20th April at 3PM. We have two matches in Skerries and three away. Team managers Michael and Paul Branagan will appreciate your support. Very hard luck to our Barton Cup Team who went down 4-1 to some exceptional golf on Saturday. 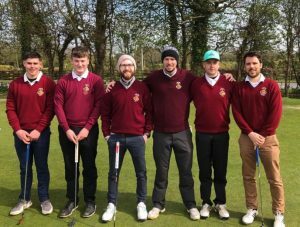 Both matches in Skerries went to the 18th but home advantage proved decisive for Roganstown in the end. 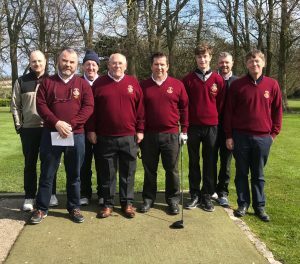 Most of team managers, Michael and Paul Branagan’s, squad will now move on to the Jimmy Bruen which Skerries hosts in June and are looking forward to a good performance.